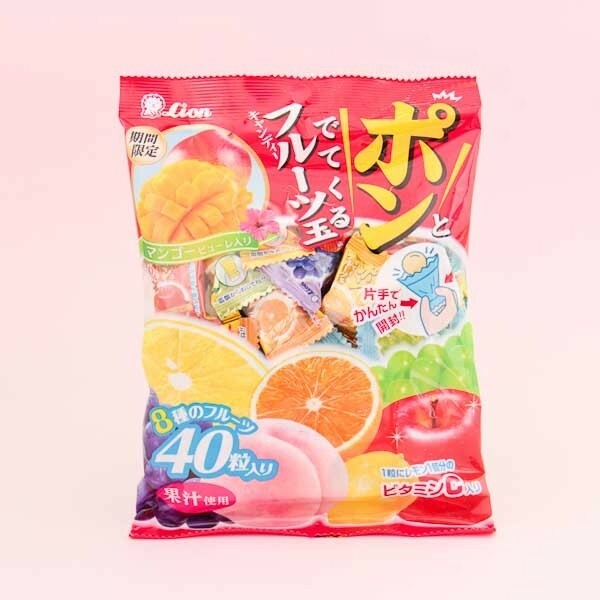 This bright and colorful bag is filled with super delicious candy balls of 8 different flavors: apple, orange, lemon, grapefruit, peach, grape, Muscat, and mango. 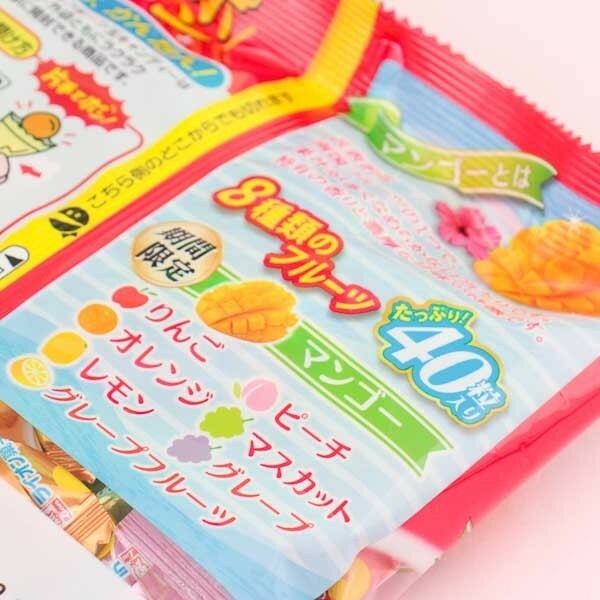 Every sweet has been wrapped individually, so you can take a couple with you and share with friends easily. But don't let your friends unwrap these candies just like all the other candies - the name POP candy comes from the way you unwrap these! 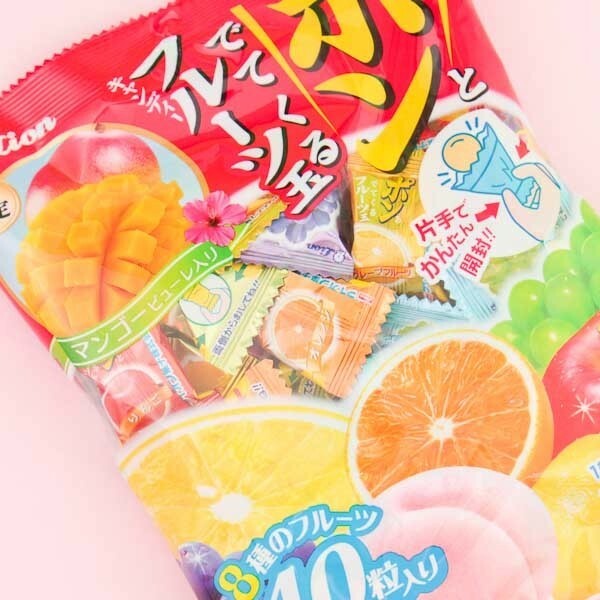 You need to pop the candy literally out from the wraps! Yummy and funny!